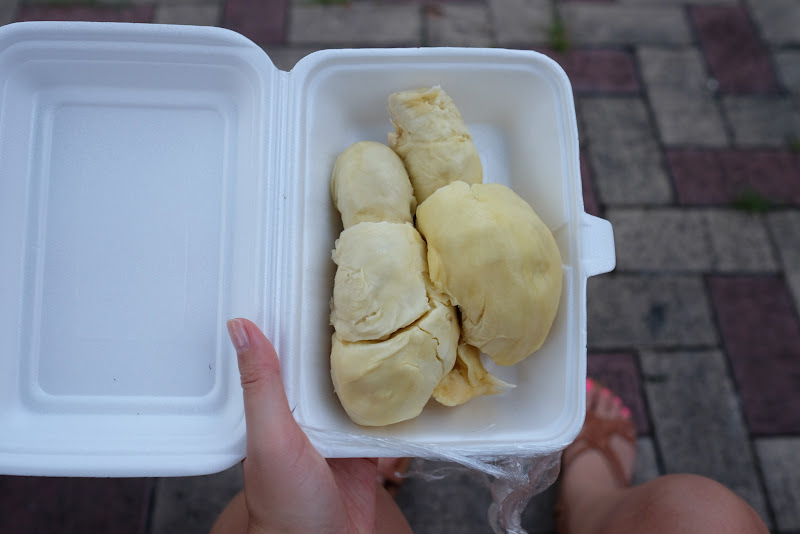 Would you believe me if I said I had never had fresh durian before this trip? 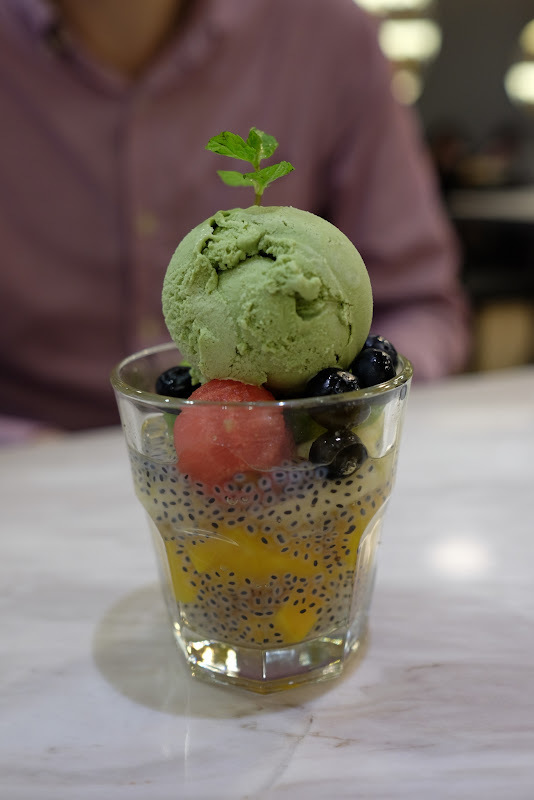 I've had it in dessert form and candy form, but never fresh. We saw packages of it for sale at the supermarket near Mellben Seafood, and afterwards came by to pick up a package for $5 SGD. The man selling packaging it responded, "It's worth trying" when I said I'd never had it before (RINGING ENDORSEMENT!) and I bought a middle SKU (they were priced by ripeness/softness). My assessment: very tropical tasting, with an incredibly funky aftertaste. Creamy texture. Would be much nicer if it was cold, rather than room temperature, me thinks. I can see why some people love it. I didn't find it that smelly... that is to say, I found the taste mostly consistent with the smell. It didn't blow my mind, but maybe I didn't buy a great piece and/or it's an acquired taste. We didn't eat it all, and Cory forbid me from taking it back to the Grand Hyatt. LOL. Speaking of the Grand Hyatt: I take a bubble bath wherever possible on vacation. The tub at the Grand Hyatt was adequate, and filled up quickly with burning hot water. There are bath salts with the bathroom amenities, which was nice! I found a bubble bunny in my bath! 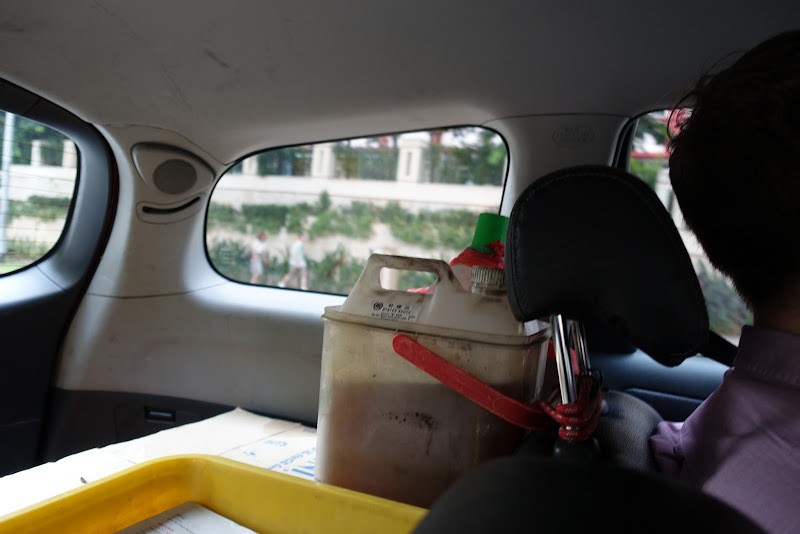 Our cab from Killiney Kopitiam to Jurong Bird Park had an enormous jug of oyster sauce affixed to the back of Cory's seat. I CAN'T EVEN. 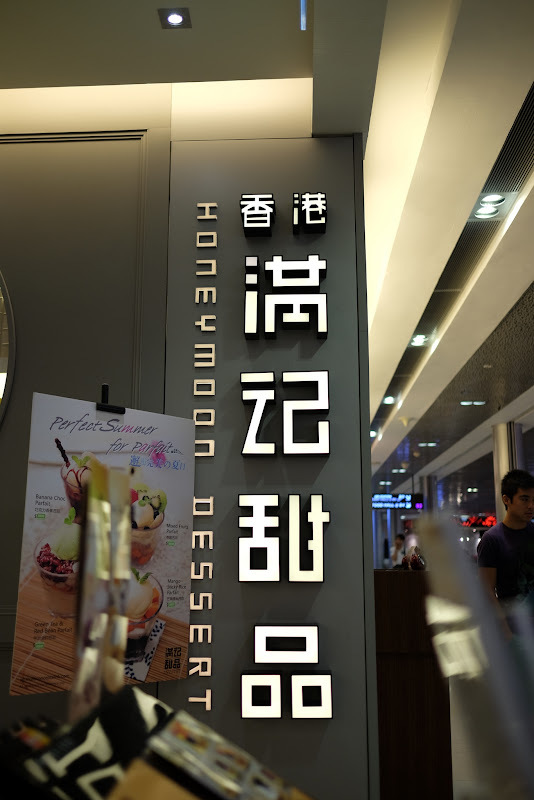 I first fell in love with Honeymoon Dessert in 2009 when we went to Hong Kong! 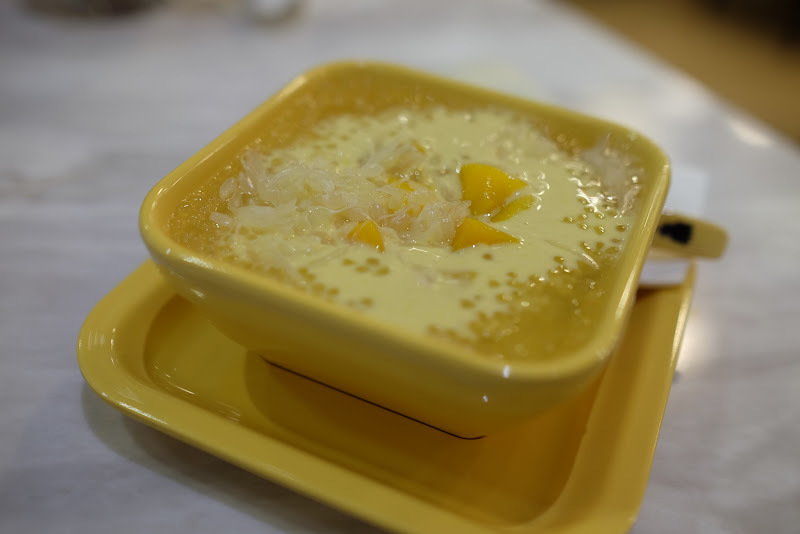 Ye olde faithful: mango pomelo sago. Not as delicious as I remembered from Hong Kong, but still damn good. We picked up a few sundries walking around some of the underground malls/supermarkets. The egg tarts were amassive disappointment, and the starfruit juice was salty as heck and super disappointing. The scallop flavoured Pretz were pretty good (but hard to eat too many in one sitting), the coffeebeat candy super delicious (chocolate covered coffee beans), and I can't remember what the weird bird candy was. Always get mystery snacks and drinks! 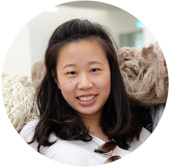 Kind of underwhelming after coming from Taipei. 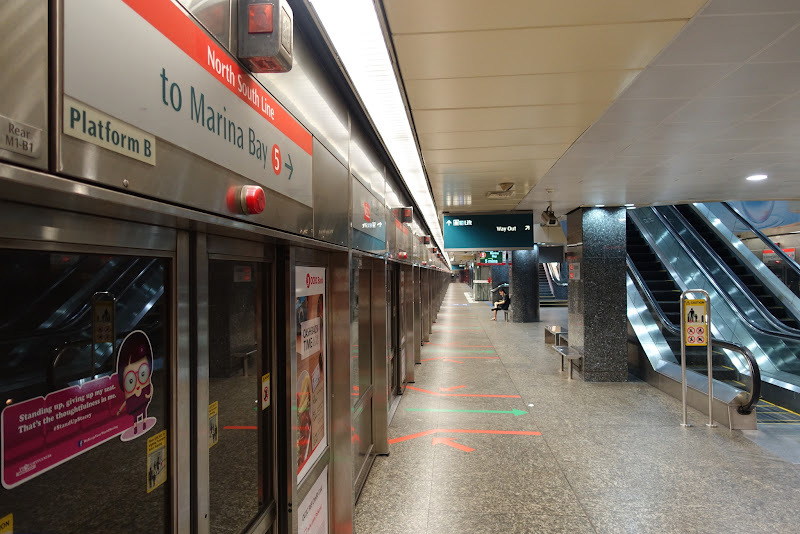 Singapore metro is slightly less frequent, stations are much farther apart from one another, and Singaporeans do NOT queue to get in the trains. 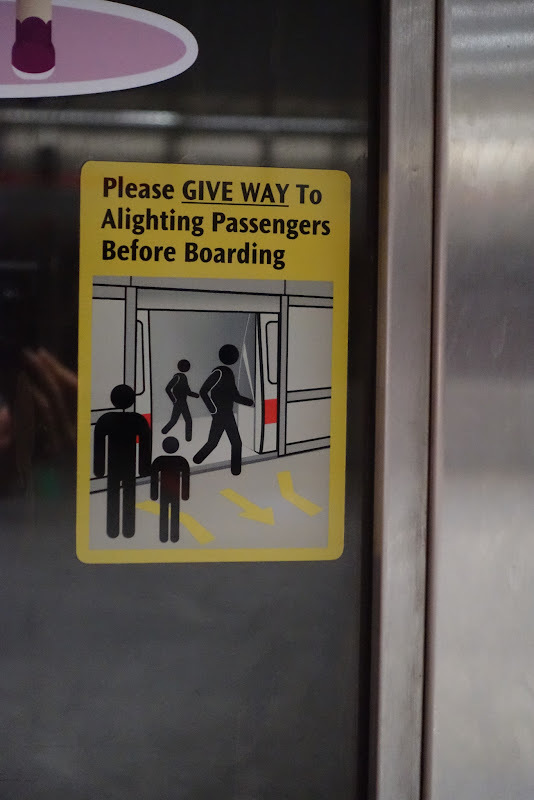 It's just shove shove, push push. The need for both CAPS and underlining says it all. 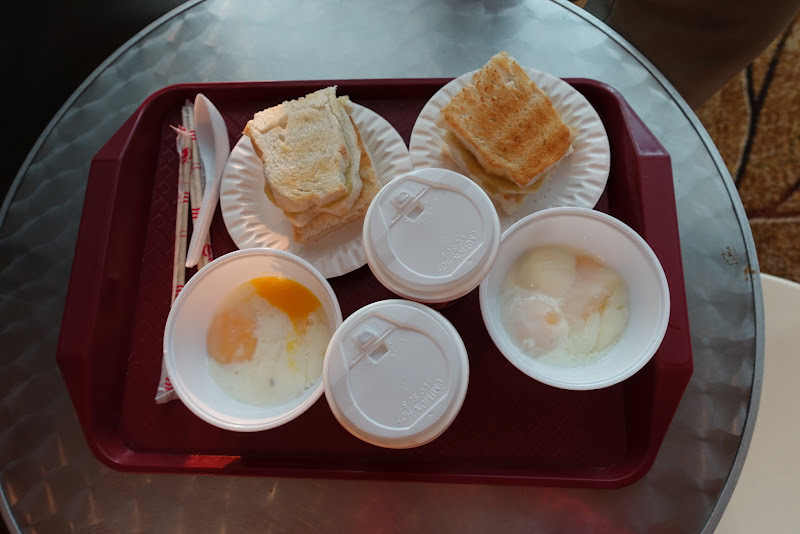 We had breakfast at the airport outlet of Killiney Kopitiam. Huge line up! 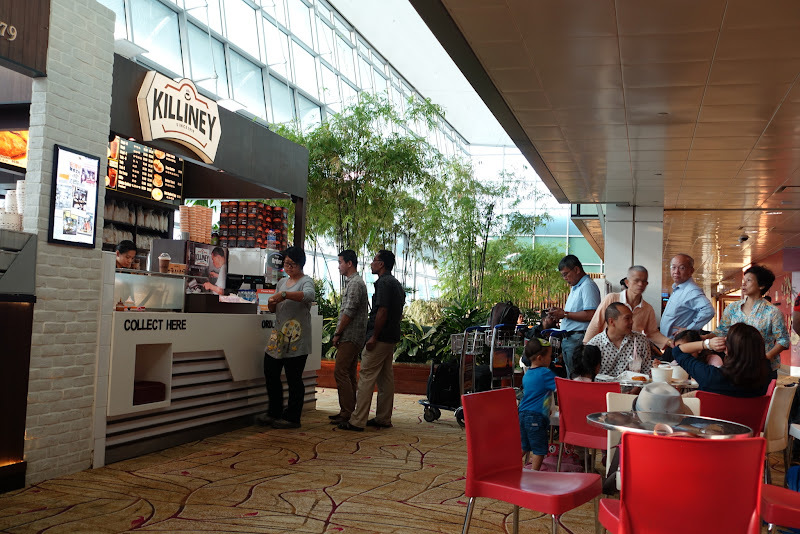 Truly the Timmies of Singapore. We ordered the same thing (though the "sets" are more defined here, so you can't go wrong). The eggs came pre-broken for us too. Not as good as the original location! You'd think Kaya Toast would be pretty easy to get right, but they were so wrong here. The toast was not cut into 4 pieces, only 2. The toasting was uneven. The butter inside the sandwich was stone cold instead of softly melted. How disappointing... but still hit the spot. 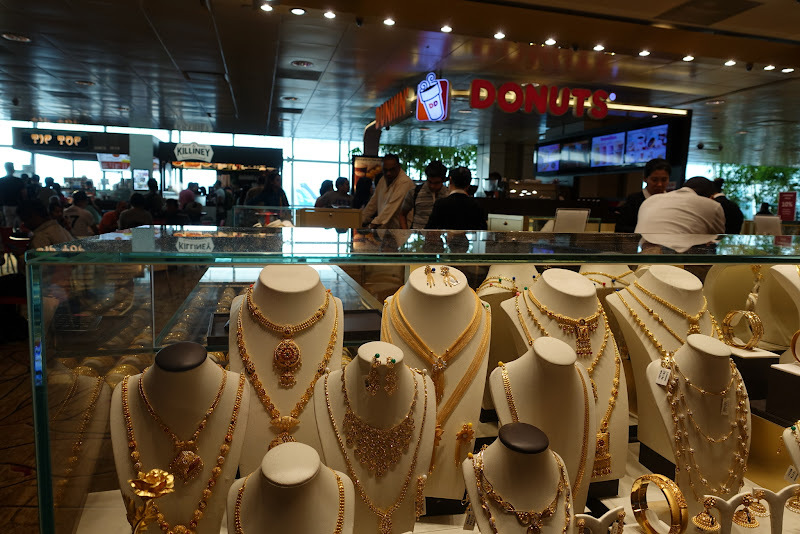 Interesting juxtaposition of gold and Dunkin Donuts. There was no security screening when we entered the terminal. 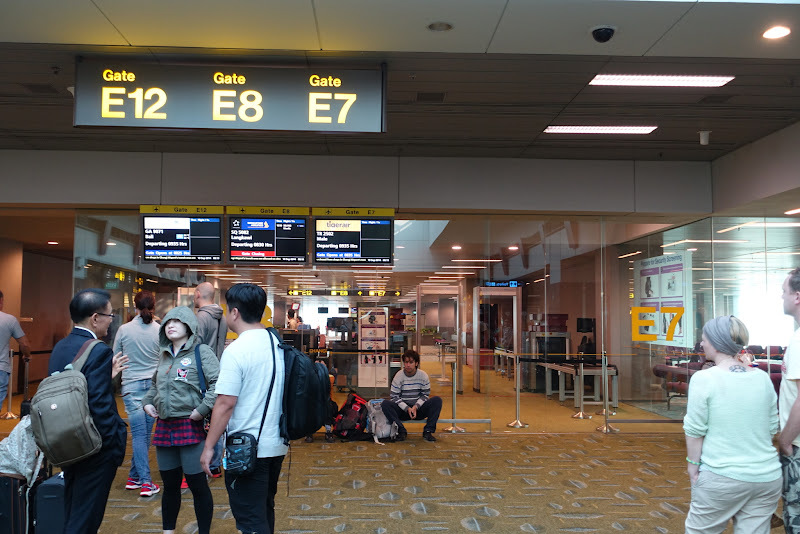 Instead, the screening was at each gate, and only for one or two flights. Interesting method, but yet somehow not super time efficient. We entered this line, but they turned us away because our flight had not been called yet, despite being scheduled just ten minutes after the flight they were screening. 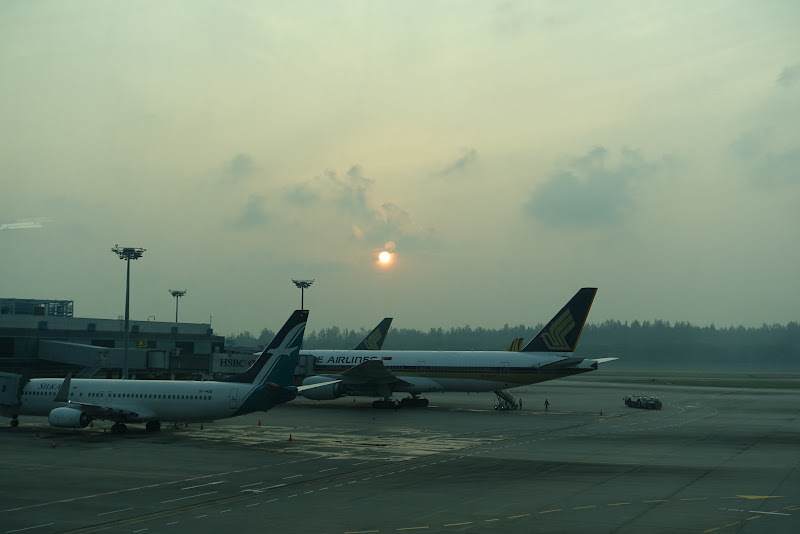 Farewell, Singapore! Hope to see you again soon!